A trip to experience an amazing Vietnam would not be complete without paying a visit to the ancient town – Hoi An of this lovely S-shaped land. It can be said that Hoi An can be considered as a living condition of the heroic Vietnam, embodying the sights, sounds and tastes of the country. Spending one day to wandering around old streets, enjoying slow pace of life and indulge in mouth-watering cuisine of this unique Vietnam’s city is such an unforgettable memory. If you are planning a trip to Hoi An and haven’t made up your mind on how you will spend one day there, you can have a look at my trip itinerary. 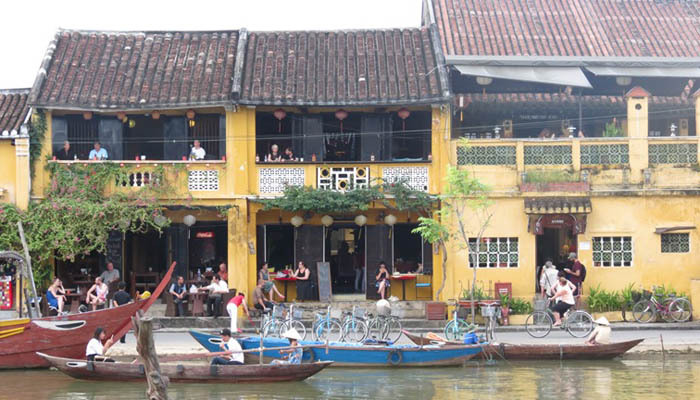 Featured as an ideal tourist destination, Hoi An offers tourists affordable prices. – Hostel costs: if you are a traveler on a budget, look for budget hostels with prices ranging from 175,000 VND to 300,000 VND per night. On my trip to explore this ancient city, I suddenly came across a reasonable hostel situated at An Bang beach called Under the Coconut Tree. By choosing to stay at this place, I could save a considerable amount of travel expense as Under the Coconut Tree offers us convenient room with just roughly 200,000 VND for one night. 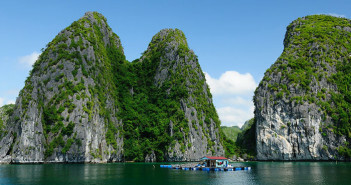 – Transportation costs: To get the taste of this Vietnam’s ancient town, you are advised to experience with a means of popular transportation – bikes. By renting bikes, you can have a chance to explore every corner of each old street and stopping at local stalls along the streets to grab scrumptious street foods. With just 30,000 VND, you can rent a bike for the whole day. – Food costs: Vietnam, especially Hoi An is internationally famous for street foods with unique taste and recipe. 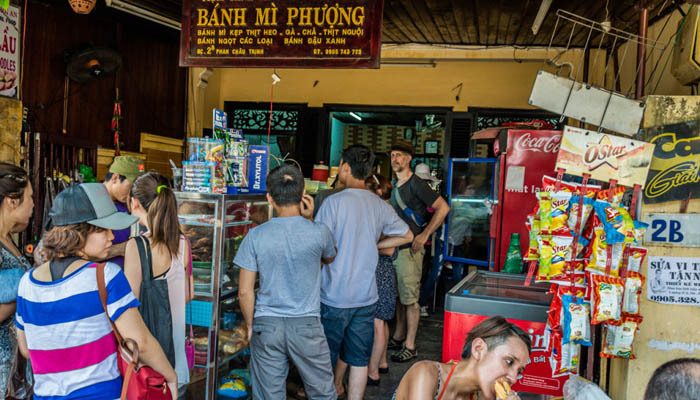 There is nothing quite like taking a delicious street meal coupled with refreshingly cool beer when traveling to Hoi An. A street meal is 100,000 VND more or less and if you want to enjoy food in restaurants, the prices often start from 150,000 VND or thereabouts. 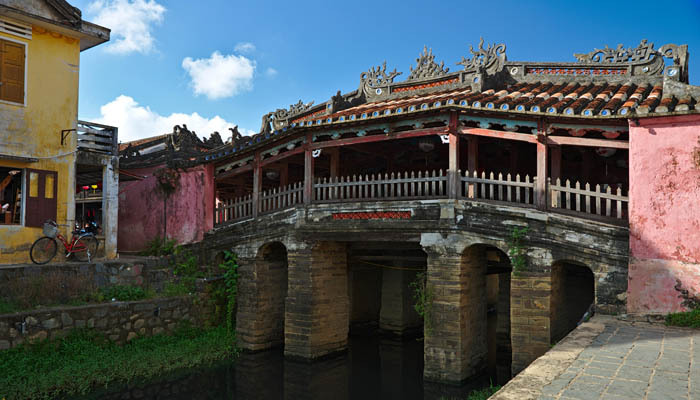 Start your day with a morning walk through Japanese Covered Bridge – one of the outstanding masterpieces of Hoi An ancient town. The bridge is the ancient ruins of Japanese influence in the 1600s. In the past, the bridge is constructed for the purpose of connecting Japanese community with Chinese quarter. Until the contemporary time, the bridge is the representation of peace. When crossing this bridge, don’t forget to pay a visit to the Buddhist temple inside it to take a glimpse of ancient architecture and take a lot of photographs. Vietnamese bread has been listed as one of the best foods in the world along with Pho or Bun Cha. Therefore, take advantage of your time in Hoi An to try this amazingly awesome food. Based on my personal experience, best place to have truly delicious taste of Vietnamese bread is Banh Mi Phuong located at 2B Phan Chu Trinh. Having bread for breakfast will provide you a lot of energy for the whole day. 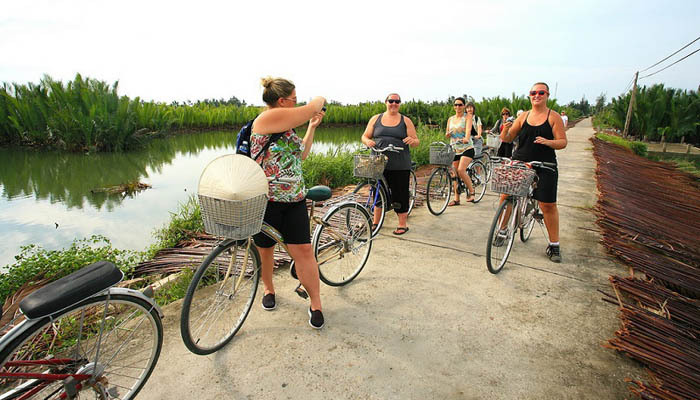 One of the must-do things in Hoi An is to take a Hoi An bike tour to explore the charming and elegant Hoi An Ancient Town. Follow a local guide who is really acknowledge about everything in Hoi An. There are a plenty of interesting things about Hoi An to learn from long history and local old streets to an abundance of local cuisine. Especially, bike tour guide will help you to gain a first-hand insight of trying typical Vietnamese coffee with this morning bicycle tour. So, don’t hesitate to plan your Hoi An trip itinerary and experience these amazing things. Indulge yourself in the most unique and delicious cuisine in Hoi An at Hoi An central market located in Tran Phu Street. Head for “Bà Bé” a famous place to enjoy the most popular and renowned dish known as Cao Lau. You sure have a lot of fun spending your lunch time with this awesome dish in Hoi An Ancient Town. 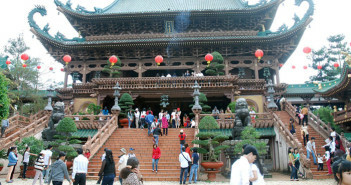 A must-visit place for an afternoon is Tan Ky Ancient House. 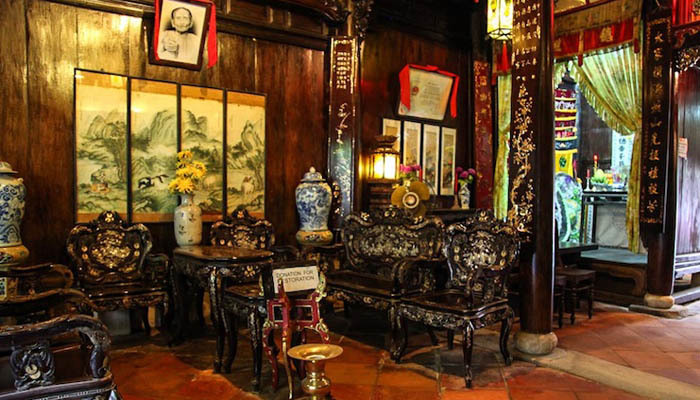 Situated at 1 Nguyen Thai Hoc, the ancient house is a well-preserved old house which was built in the 19th century with the remnant of Japanese and Chinese architecture. Visit the house, you can have a deeper understanding of Vietnamese history as well as culture. After visiting Tan Ky Ancient House, let yourself enjoy such great snacks provided by Hoi An Ancient Town to get the taste of the whole town. 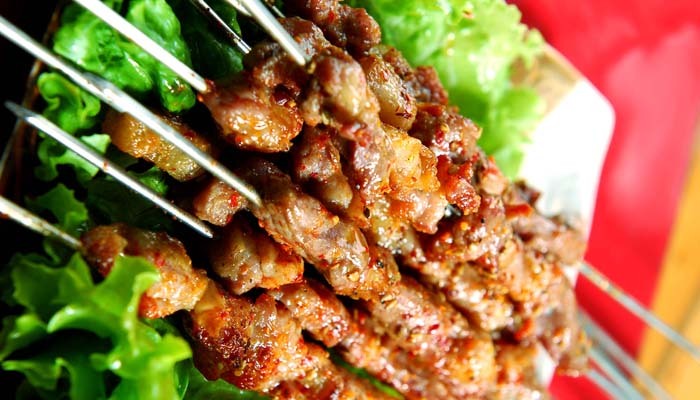 I suggest you a list of top must-try snacks in Hoi An as followings: mouth-watering grilled skewers rolled with rice papers and vegetables at Hai Ba Trung Street, Hoi An’s rice cake – a scrumptious traditional cake enjoyed both domestic and overseas tourists. If beach is your favorite place, head to An Bang and Cua Dai beaches to spend your afternoon time. 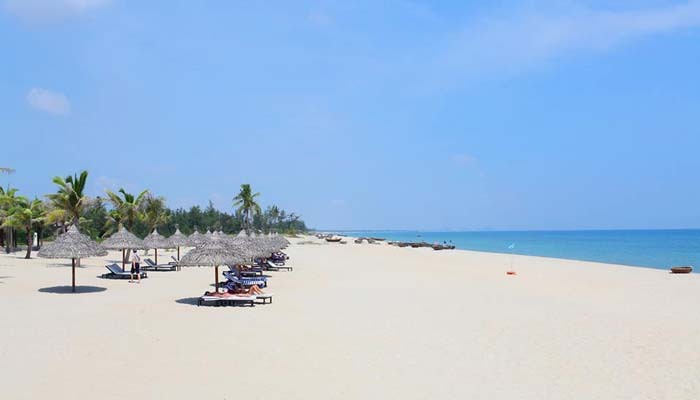 The famous Cua Dai Beach was already recognized by UNESCO as one of Vietnam’s five UNESCO World Heritage sites. There is nothing quite like lying on white sandy beach and enjoy sunlight, wind and rippled waves, thereby sensing the strong vitality of this lovely land with friendly and highly cultured people. For sure, you will be mesmerized with the sublime beauty there. 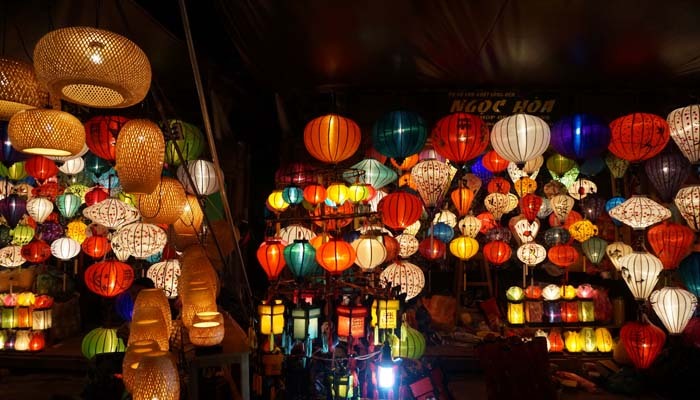 Explore Hoi An, it would be really regretful if you don not visit the Lantern Market – truly amazing market in Hoi An. Certainly, you cannot find elsewhere with the unique sights, sounds and tastes of this stunning market. An evening at the market will give you a deep insight into dim and mystical rows of lanterns and lights, reflecting the unique beauty that cannot be found anywhere. Don’t forget to immerse yourself into traditional folk music performance along the street of the lantern market. Hope that my Hoi An itinerary will somehow help you plan your Hoi An Ancient Town trip perfectly and have a good time in Hoi An!